Axxess Identification works closely with a number of technology partners for integration with third party systems. An integrated solution provides additional functionality and enhances overall security. Abloy has a large range of locking solutions for wooden, metal, glass & aluminium doors. Axxess ID is an authorised systems solution distributor allowing single source complete solutions for access control and correct electric locking for standard and highly specialised solutions. High security electronic keys and large range of cylinders. 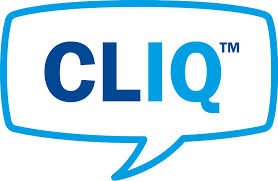 The Cliq solution is fully integrated with the AX Enterprise to provide central management of issuing of cards and keys. Ideal solution for those applications where on-line access control is either not feasible or economically not viable. Installation time of the cylinders is completed in minutes and provides full key control and off-line auditing. Suitable for internal and external applications with solutions for replacement of most cylinder types and padlocks. Aimetis is a software company offering integrated intelligent video management solutions for security surveillance and business intelligence applications. The company is a global leader in intelligent video technology and is propelling the adoption of video analytics as an integral component of video management solutions. Aimetis products are based on innovative, open technologies that provide customers with a single platform for migrating from analog video to intelligent IP video solutions. As an independent UK company Bold, works in co-operation with the leading security product manufacturers and delivers monitoring platform solutions to all sectors of the security industry. Bold is a software house and a project company, capable of handling anything from a simple site monitoring system to complex, high volume and highly integrated solutions. CyberSeal is a pioneer in providing cyber security for mission critical networks. The company offers tailored products that secure wired and wireless networks of physical security, sensors, SCADA, and industrial controllers. It also delivers a Security Information Event Management (SIEM) system, providing full cyber security solutions for mission critical applications. A unique range of specialist, advanced technology power solutions suitable for the intruder, access control, fire, CCTV and IP markets. Dycon's range of UK-made EN graded and ungraded power supplies offer many advanced features including self-resetting fuses, anti-'spike' filtering and all with significant electricity savings. With in-house design capability- enabling customer specific power products to be manufactured for the OEM market. 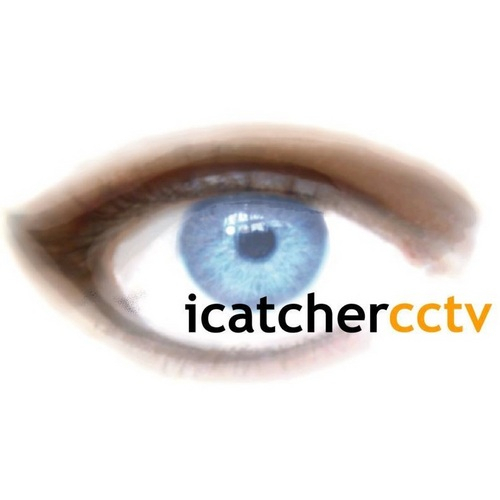 The I-catcher software supports a range of cameras for advanced recording and viewing. The integration allows monitoring and control of doors and alarms in the i-catcher software and also viewing in the AX Enterprise of cameras connected to the i-catcher software. Plug and play set up simplifies installation. AX software provides full integration with the Inovonics range of wireless sensors through the AX-WR01 Ethernet receiver. The reliable long range transmitters are ideal for industrial applications and there were reliability is a must. The range can easily be extended with the use of repeaters requiring only 12 volt. Axxess ID also incorporates Inovonics technology in a number of products including man-down pendants and the Abloy Cliq real time door status signalling. The AX Enterprise plug-in module allows a single front end for Milestone CCTV and Axxess ID solutions with full bi-directional communication between the platforms. Milestone provides a range of VMS solutions from small to large corporate systems with one of the largest numbers of cameras supported. The AX I-Box and AX300 environmental alarms are sent directly from the device to the Sentinel software over IP. The Sentinel software is used by over 30 approved monitoring stations in the UK. Safran/Morpho is a leading provider of biometric identity & Security terminals – with wide-ranging applications like population registration, access control, secure payment and many more – are valued by public and private sector clients around the world. Our proprietary biometric algorithms and sensor technologies, combined with our design and manufacturing expertise, has made us the world number one in this market. Biometric terminalsare particularly adapted to controlling physical access and managing workforce time and attendance. Our range of products, encompassing fingerprint, multimodal vein & print, facial recognition and contactless technologies, is backed by a solid experience across industries. Safran Identity & Security solutions can secure any kind of premises – from corporate buildings to critical infrastructures – in any environment. Desktop biometric sensorsare designed for multiple applications like population registration, customer acquisition, logical access control and secure payment solutions. Safran Identity & Security OEM modules enable manufacturers to add biometric recognition to their applications (ATMs, PoS terminals, voting machines, etc. ), rapidly and without specific biometrics knowledge. The OPTEX range includes indoor PIR and Dual Technology sensors, with the Axxess ID sensor PCB built in or with the Inovonics wireless option the Optex sensors are plug and play connection to Axxess ID systems. Pinpoint is a leading manufacturer of staff protection and nurse call systems used in many hospitals, private and NHS. The AX Enterprise integration provides a single user interface for monitoring and control. 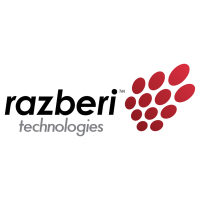 Working seamlessly with leading VMS products and IP cameras, Razberi delivers unmatched certification and support and offers our solutions through a worldwide network of value added partners. Razberi appliances are purpose-built for the demands of security and video. The Senstar range of products ensures the correct technology for different applications can be used including fence monitoring, microwave and buried sensing cables. Senstar has been working in the outdoor perimeter security market for 30 years and our staff’s experience represents over 1000 years of work in the field. Our knowledge and skills extend beyond our employees. We work with the leading partners worldwide to deliver technologically superior products and complete security solutions. At Senstar, our years of experience and flexibility have earned the trust of our customers and partners worldwide. Our product-based solutions are as diverse as our customers’ requirements. The scope of our product portfolio is second to none and we offer a diverse range of in-house technologies. By selling what we manufacture, we can service, customize and expand to meet our customers’ requirements for any project. We have more than 40,000 kilometers of installed perimeter sensor products around the world, which translates into the distance from New York to Western Australia return! The AX Enterprise Senstar integration module allows monitoring and control from the graphical user interface with enhanced features allowing a single user interface and automated arming and disarming of zones based on access control permissions.